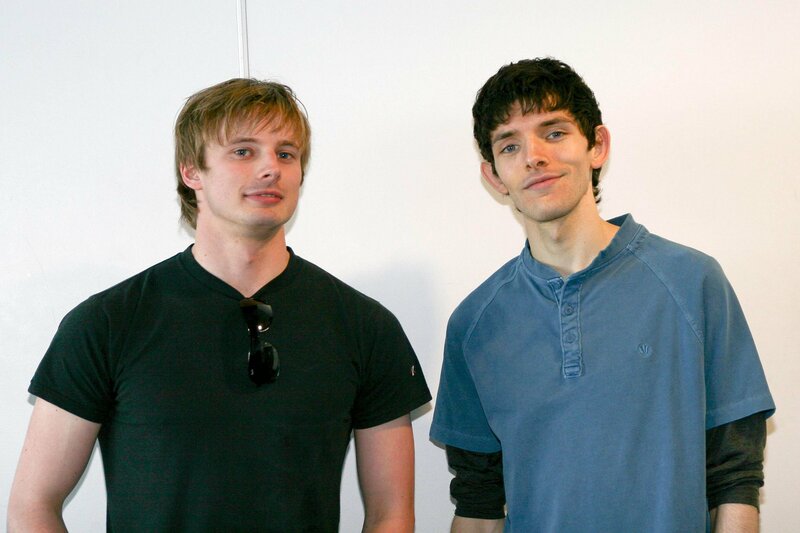 Cast Together. . HD Wallpaper and background images in the Bradley James club tagged: merlin bradley james colin morgan. This Bradley James photo contains jersey, t shirt, tee shirt, and leisure wear. There might also be polo shirt, sport shirt, long sleeve, and short sleeve.